Arapahoe has discount ski tickets! One and Two of Seven Day Lift Tickets! Afternoon Delight Tix for up to 42% off! The ticket must be picked up and used on the first day (the "start date"). The remaining day of use may occur anytime during the remaining 6 days. FOR ADULTS 70+ YRS OLD BUY DEEPLY DISCOUNTED TICKETS AT ARAPAHOE BASIN'S TICKET WINDOWS. This product is valid for the specified date or date range only. A-Basin lift tickets are non-refundable and can only be used at Arapahoe Basin. Please note that there may be no beginner skiing in the early season. 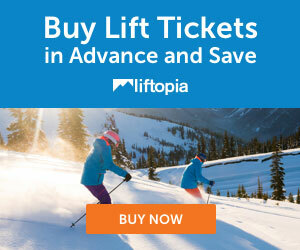 Please bring your purchase confirmation to the Arapahoe Basin Ticket Office to pick up your lift ticket. If you have any questions, please call Guest Services at 888-ARAPAHOE (272-7246).